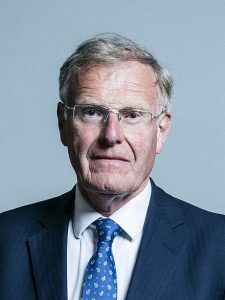 The airwaves have been replete with self righteous indignation from the Political and Media caste at the decision by Sir Christopher Chope to block a private members bill allegedly aimed at protecting children from female genital mutilation. Sir Christopher shouted “object” in a debate on laws protecting children from female genital mutilation. His Conservative colleague, Zac Goldsmith, said his actions were “appalling” – Lib Dem Tom Brake said the MP had “reached a new low”. Sir Christopher has argued his aim is to stop badly thought-out legislation. He said he had not been objecting to the substance of the issue, but wanted to see all legislation properly debated. WHAT IS THE REALITY OF FGM IN THE UK? There is a suspicion that well over 95% of FGM in the UK is done by Somalis (including Ethiopian Somali/Oromo ethnic). This would correlate with the level of FGM in Somalia. Yet the authorities simply don’t seem to want to prosecute them. Why is this? There is significant public pressure to appear to be doing something. This barbarism has been going on for decades, but now social media outrage is creating real pressure for action. It was previously simply ignored by the legacy media and political caste. WHAT HAS HAPPENED IN UK COURTS? The first attempt at a prosecution for FGM, was a Sri Lankan doctor in 2015!! There’s no FGM practised amongst Sri Lankans of any faith. Basically the doctor had needed to take remedial action for a Somali woman giving birth (i.e. she must have had severe FGM), so she could give birth safely. For doing so, the doctor was prosecuted for FGM! This was a simply ridiculous situation and thankfully he was found not guilty Nobody actually tried to prosecute whoever had originally done the FGM. Consider the 2nd instance of attempted FGM prosecution in the UK. A charity social worker (maybe Somali origin?) was in a Bristol taxi with a Somali driver. The taxi driver told her that he had done FGM on his daughter. The social worker informed the police, and the daughter was examined and she had indeed had FGM done on her. The local Somali community threatened to riot, and gathered outside the courthouse and even attacked representatives of the charity. Obviously nobody was arrested for that. The judge made some bizarre excuses for dismissing the case and instructed the jury to return not guilty!! Totally ridiculous again, as you really can’t get more solid evidence than directly informing someone he had done FGM on his daughter, and the daughter then displaying evidence of it. The issue with the most recent prosecution is that apparently it was done by a Ugandan woman from a tribe that does not practise FGM but unlike the Bristol case she obviously didn’t have a violent crowd demonstrating in her defence outside the Courthouse. From this article, the mother states that she is from an ethnic group that doesn’t practise FGM. Apparently she contacted a voodoo doctor in Africa on how to “cleanse” the daughter. Perhaps he suggested that she could “cleanse her daughter of spirits” by making 3 small incisions in her genitalia? Whilst chanting some African spells? Some Africans do whatever the voodoo doctor recommends. So the point is that this isn’t the normative UK occurrence of FGM at all, which is almost entirely Somalis doing Islamic FGM on their daughters, because it is recommended according to hadith. This is basically a sham “ABS” prosecution – Anyone But Somali! The UK authorities and media are resiling from the simple truth that FGM is a feature of Somali communities spread out across the UK. A refusal to accept this and then act on it is putting vulnerable girls, even babies, at risk to the cutters who continue to operate with impunity. It’s they, not Chope, who need the chop. Forget the faux outrage against Chope, the real outrage should be directed against those politicians and “activists” who want to see anyone prosecuted but those from the community who carry most of it out.